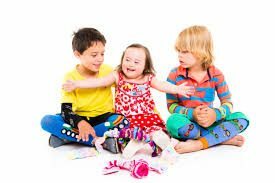 Children and kids of all ages need assistance with learning and development. It has become evident that we as parents have to start this process very early on at home. My little boy has learning difficulties and needs unconventional methods to give him the opportunity to progress at a rate which is age and capacity appropriate. Some games and methods to do this I have learnt along the way and toys too have given us both joy in that process. My aim here is to share some of my experiences and thoughts to maybe offer some possible inspiration when making purchases which are aimed at your child’s development. This water bead sensory toy is a great soothing feel for your child’s experience and helps them explore their world while still giving them development skills in the process, with its vibrant colors and counting features it can be used for language and motor skill development. Children with special needs, sensory processing difficulties, autism and other disorders can use this for development. The non-toxic material is ideal for ages 3+ and can even be used in a clinical setting, which I have seen at the hospital. This vibrating soft toy is a real soother for kids with learning difficulties and I found my son used it at times when feeling anxious. The sense of calm and serenity seemed to come over him and it would calm him for hours at a time. It was a miracle at first. The requirements are two batteries and they do last for ages. It simply needs to be touched to vibrate and it automatically stops when let go. 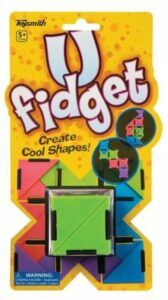 This unique and playful toy can be flipped, spun and folded into the U-fidget. It is a great tool and toy for kids learning to develop concentration whilst at the same time calming them down in time of stress and discomfort. This toy can be used in classes as aid tools or at home for personal use and will provide stimulation and help fight those fidget fits some kids suffer from. The aim of the game is to move each piece in a certain direction and in the process provides a great sensory sensation, which is part of the learning process. The vibrating pillow for me is the best buy and gave countless hours of fun for my son, which I am very grateful for and feel this is the best overall pick. I remember when my son used it for the first time and his face looking back at me as if I had given him a gift from God, that feeling left me feeling deeply satisfied that this toy had given him exactly what he needed at that moment in a time of distress. The Sensory jungle water beads for kids is another cheap but great value for money toy with its colorful textured beads and sensory rich feel to it. I gave this toy as a present at small birthday gathering for my child’s friend and the boy “Nick” seemed majorly happy and content to spend the rest of that afternoon playing with the water beads. The other mums seemed pleased I had brought it and offered thanks and praise, it was lucky but I feel satisfied and wanted to share the love here.